Würzburg and Wine – these two are inextricably intertwined. Wine in all its varieties rules this city. This is the perfect place to enjoy a great wine, go hiking, take a winery tour and experience our wine culture, indulge in great food, or take leisure walks; come experience what the city and nature have to offer here. Our version of joie de vivre spells wine festival! For a close-up experience of the people of Franconia, visit one of the many wine festivals in Würzburg and the surrounding Franconian Wine Country . 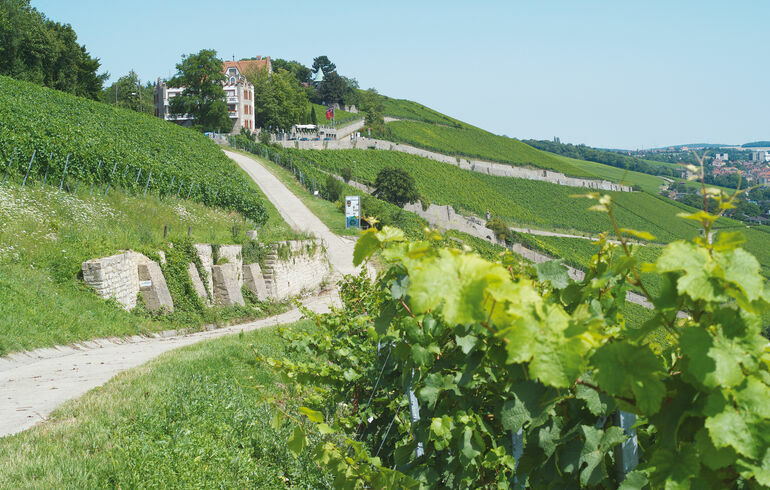 If you would rather explore where the wine grows, take a walk through the world-famous appellation Würzburger Stein. You can get information from the Stein-Wein-Pfad e. V. , the local Stein Trail Club. You're a tour operator or you are planning a trip to Würzburg for a group? Check the special offers for groups including wine tastings, cellar tours and guided tours.